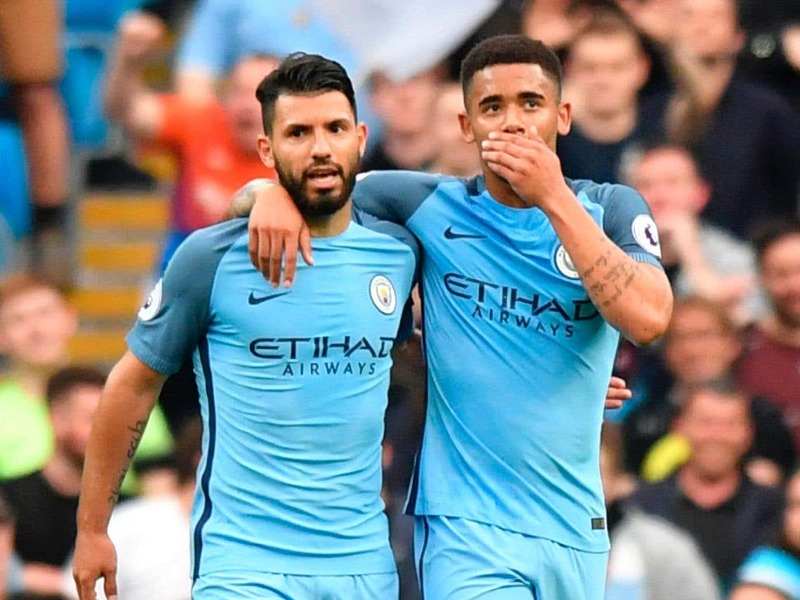 Pep Guardiola has insisted that he has space for both Gabriel Jesus and Sergio Aguero in his Manchester City starting line-up ahead of his side’s trip to Watford on the final day of the season. City will travel to Vicarage Road knowing that, after their 3-1 midweek win over West Bromwich Albion, a draw on Sunday will be enough to secure qualification for next season’s Champions League. Jesus and Aguero both started Wednesday’s victory with the latter preferred as Guardiola’s lone frontman, but it was Jesus who ended the game on the scoresheet, notching the opening goal. It was only the second time that the pair have played together from the off since Jesus’ arrival in Manchester at the turn of the year, and the Brazilian’s rapid emergence has thrown Aguero’s first-choice status into some doubt. Guardiola would not be drawn on questions about Aguero’s future during his pre-match press conference on Friday, but he maintained that the two payers are not necessarily competing for a single place. “I don’t know if you saw the game against Middlesbrough,” Guardiola said, referring to the previous game that the pair had started together. “The way we played against Middlesbrough was completely different to the way we played [on Wednesday]. “The game against West Brom, Jesus was not a ‘winger winger winger’. He was a little bit more inside, but just a little bit. Against Middlesbrough we played with two strikers. The game against West Brom, Jesus was not a ‘winger winger winger’. He was a little bit more inside, but just a little bit. Despite suggesting that the two strikers could start on Sunday, Guardiola stopped short of revealing his team for the trip to Hetfordshire. “It depends on the quality, it depends on Sunday,” he said. “I don’t know if Watford are going to defend with four or with five. Some teams play with five defenders, some with four, so it depends on that. Our way to attack, our way to defend is completely different. “People say we play 4-3-3 but players move, and there are many cases when you defend in one way and you attack in the other way,” he added.